Amazon is offering $2.00 Credit for any mp3 purchase. Hurry !! This deal is valid only till April 22, 2012!! 2) Enter your code “MOMROCKS”. 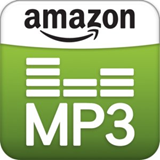 Now you have got $2 in mp3 credit in Amazon for any mp3.